Sweethearts Fine Jewelry mimics the timeless Candy Classic that we have all learned to love and cherish through the years. The New England Confectionery Company – Necco – created their iconic candies in 1847. Due to the company’s longevity, we have all been touched in some way by the candies special and unique messages. What better way to adorn a special Sweetheart than with a distinctive and individual message? The Sweethearts Fine Jewelry collection allows you multiple ways to say something about yourself or say something sweet to a special someone. 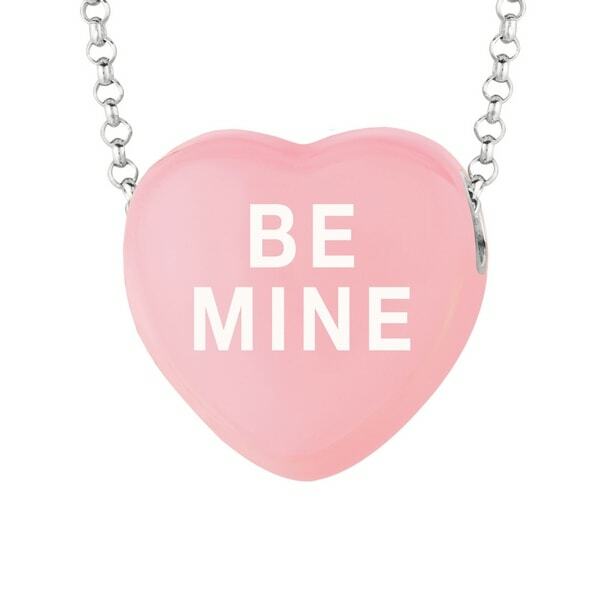 One (1) lucky Lady and the Blog winner will receive a Sweethearts Sterling Silver 17mm Pink Enamel “Be Mine” pendant (retail value $99.99). How sweet is that? I like the newish ones that say “text me”. Thanks for the chance to win! I love you would be my fave!